Our third shortlist today is the shortlist for the “Best Coffee Spot near a Railway Station”. 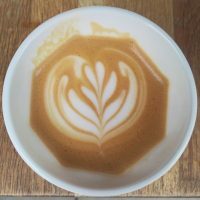 This was won in 2016 by Faculty and rewards those Coffee Spots serving great coffee to travellers on Britain’s rail network and, increasingly, on rail networks around the world. Federation Coffee in Brixton Market for several years and is close to not one, but two stations, Brixton Overground and Brixton Underground. Admittedly, the service is pretty frequent from both of them, so you’re unlikely to have half an hour to kill. Nevertheless, with coffee from Curve and various guests on espresso/filter, it’s definitely worth a visit. Federation Coffee is also shortlisted for the Best Outside Seating and Best Espresso Awards. 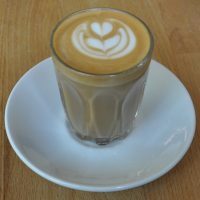 Talking of Brixton, if you head the other way (west instead of east), you’ll come to the tiny Balance, another excellent stop worthy of your time, with coffee from The Roastery Department and also Assembly, which roasts just across the road. Balance has also been shortlisted for this year’s Best Neighbourhood Coffee Spot and Smallest Coffee Spot Awards. Although you always could get good coffee near Victoria Station, your options have been massively improved this year by a number of arrivals at the new Nova development. 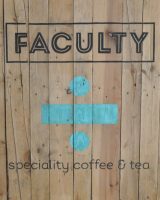 First out of the blocks is restaurant off-shoot of the Beany Green coffee shop chain, serving espresso-based drinks and pour-overs from the Roasting Party. If the trains are that bad, treat yourself to a cocktail. 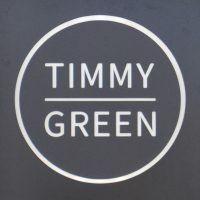 Timmy Green has also been shortlisted for the Best Breakfast Award. 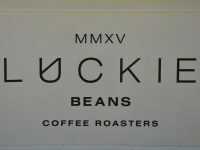 North Berwick’s Luckie Beans became a permanent fixture in Glasgow when it landed a spot on the concourse of Queen Street Station. A handy spot if you want a coffee to go, there’s also a neat seating area if you are waiting for your train. Luckie Beans has also been shortlisted for this year’s the Best Takeaway Coffee and Best Espresso Awards. At Byng Place on the northern edge of Bloomsbury, Lever & Bloom is handy for London’s Euston station. 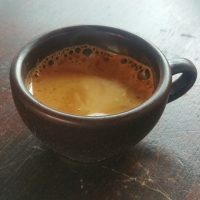 It’s a little bit of a walk (under 10 minutes) but for coffee this good, from Climpson and Sons and made on a lovely lever espresso machine, it is definitely worth it. Lever & Bloom has also been shortlisted for this year’s Best Takeaway Coffee and Most Passionate About Coffee Awards. On the opposite side of London, the Bean About Town coffee van was always a good option for London Waterloo. These days its mantle has been taken on by For the Good of the People Coffee, which has inherited the old van, the espresso machine and my favourite barista, Claire. For the Good of the People Coffee has also been shortlisted for this year’s the Best Takeaway Coffee and Happiest Staff Awards. I normally don’t feature places on this shortlist that are near tube/metro stations, but since La Colombe is directly under the Damen stop on Chicago’s Blue Line, I thought I would make an exception. Best of all, if you decide to sit in, you can hardly hear the trains. La Colombe has also been shortlisted for this year’s the Best Filter Coffee Award. This is the second Idle Hands pop-up near Manchester’s Piccadilly Station, when it had a brief residency over the summer at the Mayfield Road site (itself an old train station) of street food kings, Grub. Grub has moved on (one street over) while Dave & Lucy of Idle Hands have taken some time out to have a baby. 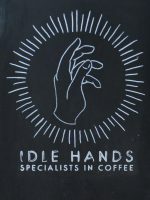 Idle Hands has also been shortlisted for this year’s the Best Filter Coffee and Best Takeaway Coffee Awards. 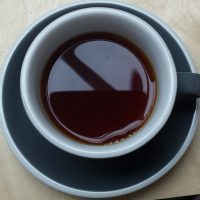 Bristol’s Coffee + Beer does what it says on the tin: retail sales of coffee beans, off-licence sales of craft beer and some lovely coffee to drink in. It also happens to be across the road from Clifton Down Station on the branch line out to Avonmouth. This makes it a handy hideout should you miss your train. In fact, it’s so good that it’s almost worth missing your train for… Coffee + Beer is shortlisted for the Most Passionate About Coffee Award. Joining Timmy Green in the new Nova Development is Crosstown Doughnuts, serving Caravan coffee on espresso. Crosstown has also been shortlisted for the Best Takeaway Coffee, Smallest Coffee Spot and Best Cake Awards. Technically Porter, in Madison, isn’t in a station. However, it is in a disused station and that’s good enough for me, particular since you can sit on the platform and admire some old rolling stock that all adds to the atmosphere. It helps that Porter serves some excellent coffee from Counter Culture. 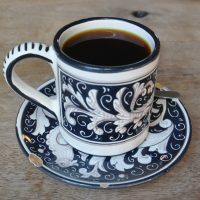 Porter has also been shortlisted for this year’s Most Unlikely Place to Find a Coffee Spot and Best Overseas Coffee Spot Awards. Ever since I first visited it in 2014, Laynes Espresso has been my go-to spot whenever I’ve been passing through Leeds train station. Serving Square Mile‘s Red Brick on espresso and a single-origin pour-over, it also turns out an awesome all-day breakfast menu. 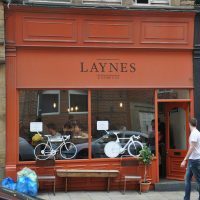 Laynes has also been shortlisted for this year’s Coffee Spot with the Best Basement and Best Breakfast Awards. 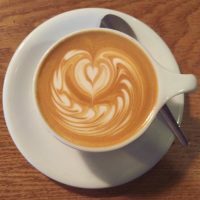 This one is a little cheeky since, although Homeground Coffee + Kitchen is near Windermere train station, the same can be said of anywhere in Windermere town centre. Still, it’s as good a place as any to wait for your train and you can enjoy some excellent Carvetii coffee while you’re at it. 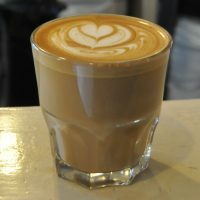 Homeground has also been shortlisted for this year’s Most Unlikely Place to Find a Coffee Spot and Best Breakfast Awards. 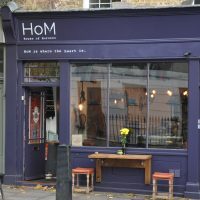 Back in London, House of Morocco is a new name in a familiar spot, having taken over from Pattern Coffee on Caledonian Road. Surprisingly close to King’s Cross station, it makes an excellent alternative to the usual suspects in the immediate vicinity. 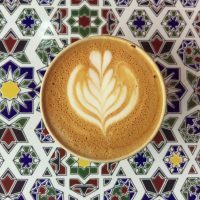 House of Morocco has also been shortlisted for this year’s Best Neighbourhood Coffee Spot Award. Talking of King’s Cross, Craft Coffee is another taking over from a familiar name, in this case, Noble Espresso, having inherited the pitch outside the back of the station on Battle Bridge Place. If you are there any time from early morning to just after lunch, allow an extra 10 minutes to pay Craft a visit. Craft Coffee has also been shortlisted for this year’s the Best Takeaway Coffee Award. Town Square: just across the road from Belfast’s Botanic Road train station. Flat Cap Victoria: another option near Victoria and one that’s been there for years. Flat Cap Borough: if you’re ever stuck for coffee at London Bridge, head for Flat Cap.